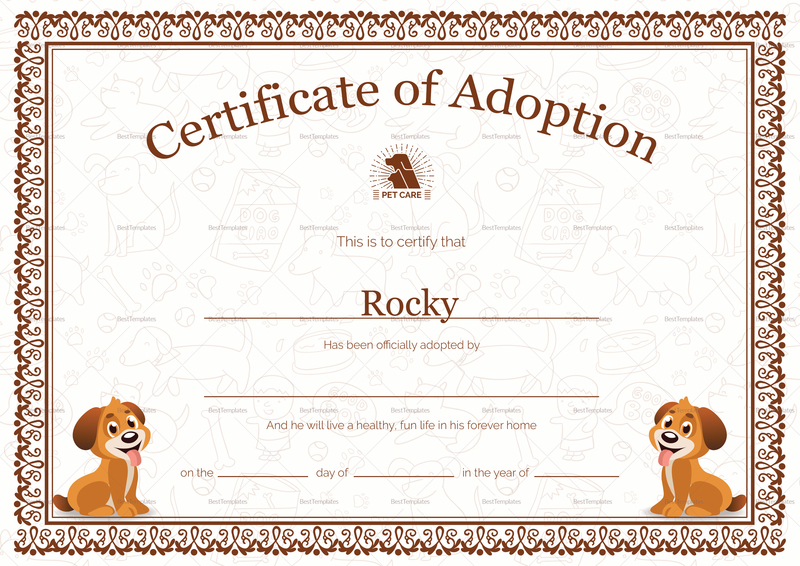 The adoption of a pet is a momentous and happy occasion. 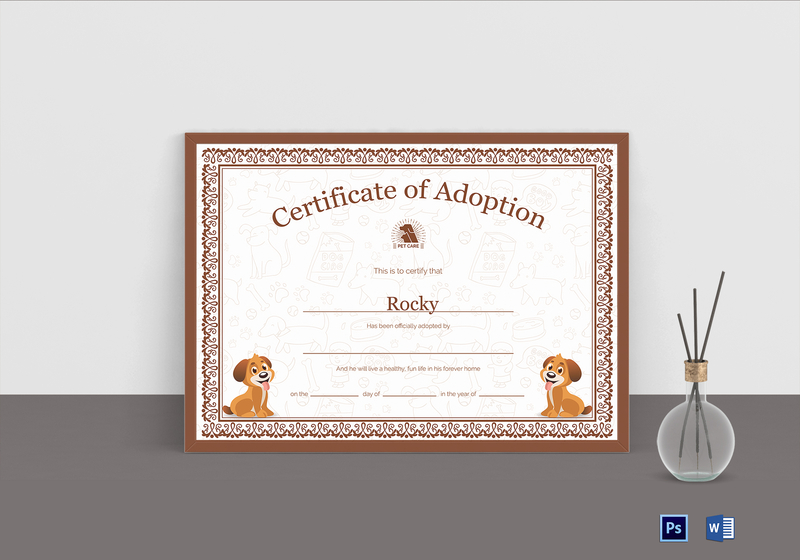 Having a simple yet attractive pet adoption certificate design template is sure to add to your joy. You'll feel proud to display this fine piece of work to your friends and family. Easily modified and easy on the eyes, this is one product you wouldn't want to miss.